There are so many September releases by Killer Character authors that there is sure to be at least one or two that will tickle your fancy. Perfect for curling up on a fall evening! Merry is making a fresh start in small-town Autumn Vale, New York, in the mansion she's inherited from her late uncle, Melvyn. The house is run-down and someone has been digging giant holes on the grounds, but with its restaurant-quality kitchen, the place has potential for her new baking business. She even has her first client—the local retirement home. 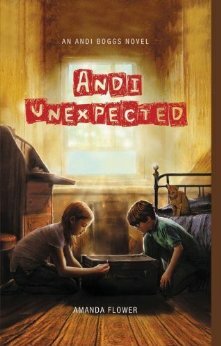 Twelve-year-old Andora 'Andi' Boggs and her fourteen-year-old sister, Bethany, move to rural Ohio to live with their eccentric twenty-something aunt after the sudden death of their parents. While dealing with her grief, Andi discovers proof of another Andora Boggs in the family tree whose existence was hidden in a Depression-era trunk in the attic. With help from her new friend and neighbor, Colin Carter, Andi is determined to find out who this first Andora was and what happened to her. It’s Christmastime in Amish Country, and Chloe Humphrey has begun settling into her life in Appleseed Creek excited to see where her new relationship with Timothy Troyer will lead. 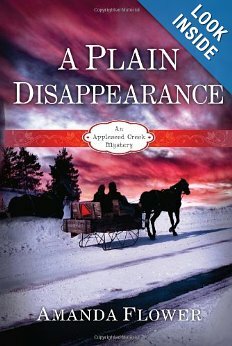 Unfortunately it leads to murder when the couple discovers the body of Amish teenager, Katie Lambright, while on their first date. Near the scene there is evidence that Timothy’s friend and auto mechanic, Billy Thorpe, is involved with the crime. The police reveal Billy is not really who he said he was and has been living the last decade in Knox County under a stolen alias. Now, Chloe and Timothy must find Billy, bring him to justice, or prove his innocence. 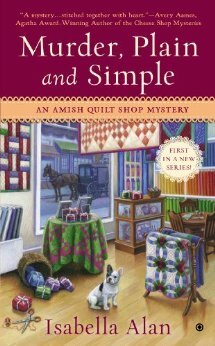 When Angela Braddock inherits her late aunt’s beautiful Amish quilt shop, she leaves behind her career and broken engagement for a fresh start in Holmes County, Ohio. With her snazzy cowboy boots and her ornithophobic French bulldog, Angie doesn’t exactly fit in with the predominantly Amish community in Rolling Brook, but her aunt’s quilting circle tries to make her feel welcome as she prepares for the reopening of Running Stitch. On the big day, Angie gets a taste of success as the locals and English tourists browse the store’s wares while the quilters stitch away. But when Angie finds the body of ornery Amish woodworker, Joseph, in her storeroom the next morning, everything starts falling apart. Unjustly accused of cooking the books, Maggie Grady is forced to retreat from her high-flying New York financial career to the town where she grew up. Her aunt Clara greets her with open arms and a job at the family-owned business that has baked the best pies in the South for over forty years. Unfortunately, while Maggie is determined to return to banking, her reputation there seems permanently in the pits. That is, until her old boss, Lou, visits with news that he’s found the real crook. Before he can reveal the details, though, Maggie finds his body right behind the pie shop. With only her own word that Lou planned to exonerate her, Maggie is in the spotlight. 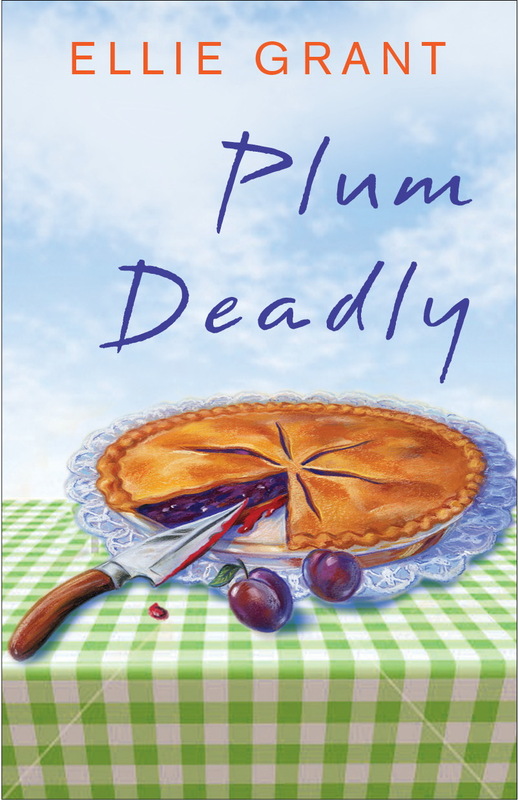 The police seem to suspect that Aunt Clara’s damson pie may not be just dangerously delectable, but downright deadly. Maggie doesn’t just have her own name to clear; she has to make sure that her aunt’s beloved business isn’t harmed, either. Yummy local reporter Ryan Summerour appears eager to help, and Maggie can’t help hoping that it’s not just the police who find her a person of interest—but Ryan, as well. 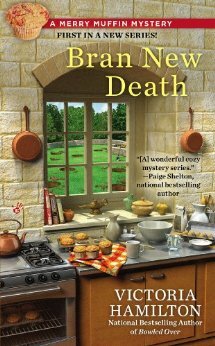 She’d thought it challenging to make the perfect pie crust that Aunt Clara demands, but that turns out to be nothing compared with finding a murderer. . . . 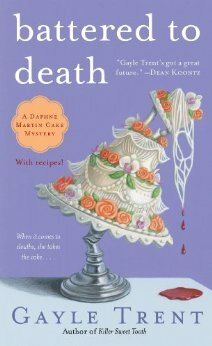 The third “entertaining…and tasty read” (Entertainment Weekly) in the Daphne Martin Cake mystery series. Daphne Martin’s life is pretty sweet right now—she has a loving boyfriend, a popular cake decorating company, and has recently entered into a cake competition in town. But when she attends a class with a famously ornery celebrity chef, all of that threatens to change. The chef is found beaten to death with a cake stand after his first lesson, and he has more enemies than anyone can count. So it’s a shock to Daphne when she immediately comes under police suspicion. And on top of that, her boyfriend tells her he’s considering a career move—to Kentucky. To a company run by an old girlfriend! And, there’s still the cake competition Daphne has to win. Daphne will need to put her wits to the test again—with the help of her nosy friend Myra—in order to clear her name, win the competition, and salvage her romance. Rita Lucero, owner of New Orleans cake shop Zydeco Cakes, can’t seem to stop saying “yes.” Even though things at the bakery are busy, Rita finds herself accepting a seat on the local small business alliance—a group full of colorful characters like Chopper Shop owner Moose Hazen and his wife, Destiny, whose personal life is messier than a cake someone left out in the rain. Looks like another great month for reading! I can't keep up with all those new books! The only one pre-ordered is Bran new death.